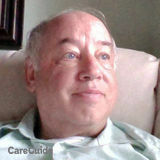 Retired professional aerospace C programmer with engineering degree and over 45 years programming experience offering laid-back, patient, clear, concise tutoring on C and C from the ground up. I've written code using keypunch machines and punchcards; I've coded for 4-bit processors with 1100 bytes of RAM; I coded for Radio Shack in the TRS-80 Model I days. It's fair to say I know this stuff. Available wide hours but appointments are suggested. Initial [nonteaching, please] interview free by phone or here, $20 if I travel. Instruction fee $45 per hour, group rates $35 per student per hour. Will consider discounting for regular customers. Located Butler County. I can teach you an entire language, teach you programming as an artful science in general, sharpen you up on specific skills, and teach you how microcomputers work deep down inside (you'll be a better programmer if you understand what's going on under the hood). And given time I can teach you to write terse, elegant, instantly comprehensible, stone reliable code that runs faster than you ever imagined. Like to learn the straightforward and simple truths behind all the wacky old wives' tales you hear about computers these days? Worried about how to handle suspicious email? Want to understand how malware threats look and operate? Need a hand with C classes and inheritance? Puzzled by polymorphism? Wondering how floating point arithmetic really works and how it really behaves? Give me the time and any of these can be in your comfort zone. Have a bug buried in a project that's making you crazy? I can find it quickly, help you fix it, and then teach you how to design code where that sort of thing can't happen in the first place. Are you anxious about next semester's classes after struggling a bit through the last ones? I can help you get ready with core skills and pre-instruction so next year's classes go smoothly, then be there for you when you need a hint or nudge past a problem. Now for a dose of reality. I can give you knowledge directly but cannot magically endow you with skill -- I can only guide you to it. Learning to write really good code takes work, and no small amount of it -- just like any other skill. You must be motivated to study and practice beyond tutoring sessions. You can't become a black belt in three easy lessons. Reality doesn't work that way. It's not about knowing a trick or two. Since I am here to help you succeed, please do not ask me to do homework or classwork assignments (although I'll gladly teach you how to do them). There are other people who will be glad to help you set yourself up for future failure that particular way. But if you really want to learn, by all means please get in touch. I also do contract work, by the way. Resume and references on request. Certified Reading Specialist available for summer tutoring!